The original was adapted to the screen by a couple of consummate scriptwriters in Rod Serling (The Twilight Zone) and two-time Oscar-winner Michael Wilson (The Bridge on the River Kwai, Lawrence of Arabia, It’s a Wonderful Life and A Place in the Sun). So, it’s no surprise that the movie’s thought-provoking social commentary would resonate with critics and audiences alike. Furthermore, the apes’ masks were such a hit with the Motion Picture Academy that it awarded the movie’s makeup artist, John Chambers, an honorary Oscar that year. And it would take until the Eighties for Best Makeup to become an official category. War for the Planet of the Apes is the finale in a trilogy which rebooted the series in 2011 with Rise of the Planet of the Apes, and was followed a few years later by Dawn of the Planet of the Apes. The good news is that one need not recall or even have seen the earlier installments to fully appreciate this captivating conclusion. The better news is that its use of next-generation CGI has been so painstakingly crafted that you never once question whether you’re watching real apes interacting with humans. But the best news overall is that the movie is a magnificent morality play of Shakespearean proportions which explores a host of universal themes en route to an epic showdown destined to settle the fate of both species once and for all. This go-round, the simians are again led by Caesar (Andy Serkis) who must match wits with a ruthless army colonel (Woody Harrelson). 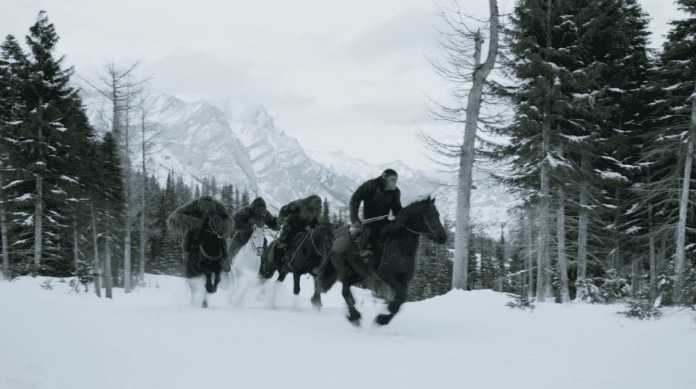 Between the sophisticated storytelling and the state-of-the-art special f/x, War for the Planet of the Apes turns out to be a touching swan song well worth the investment. Blu-ray/DVD Combo Pack Extras: Feature with audio commentary by director Matt Reeves; 20 minutes of deleted scenes with optional audio commentary by director Matt Reeves; concept art gallery; and Apes: The Meaning of It All and 5 more featurettes.